When your best friend, family companion or soul mate is doing undesirable things, or simply won’t do desirable things, we can help. 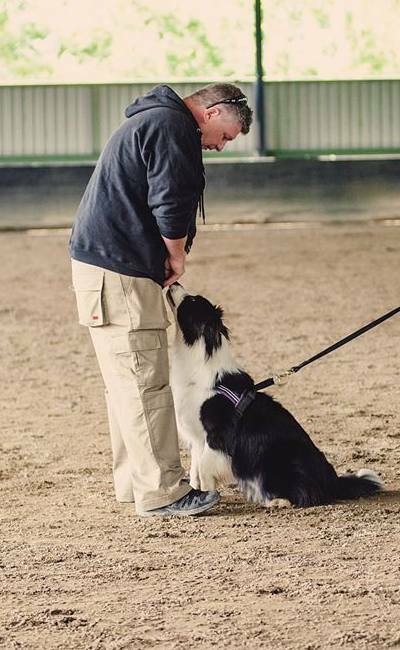 The first steps are to find out what makes your dog sit up and pay attention, so Steve will be be looking for what your dog finds rewarding, and perhaps develop that with communication so your dog knows what you want, when you want it and what he or she will get when they do it. 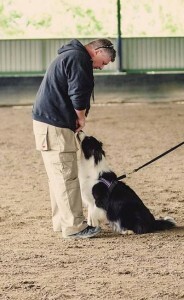 Rewarding a dog (positive reinforcement) increases the dogs desire to repeat the behaviour, most people know this but few can get the relationship working on this premise. Steve has developed loads of cool, fun programs and games that can help you reconnect with your dog and get training moving forwards. When your dog is displaying behaviours that concern you or are perhaps unacceptable in our society or are plain dangerous, it’s important to see what is driving these problems first. A root cause analysis is an important step in solving these mysteries. Your lifestyle and freedom being effected. You suffering stress, embarrassment and or anxiety. Council action, fines / restrictions. Family disruption / arguments / break ups. Injury to you, others, your dog or other dogs/animals. Performance decrease in dog sports. Seizure of your dog / legal action. The problem being learned by your other dogs. The problem becoming worse or even permanent. The longer your dog rehearses the behaviour the more habitual it becomes. This means that as soon as you see a problem developing, address it right away. No decreased performance in work or sport life! Noise and storm phobias are very difficult on dogs and their owners, we fall victim to these triggers as we often cannot control when they come around. Many dogs will inadvertently self harm trying to escape the noise or storm elements and may end up lost or worse. Intervention as soon as you become aware of the problem is going to reduce the amount of work you need to put in to help your dog. If you have dogs at home that are fighting, you will know how stressful this is to live with. Keep in mind your dogs probably feel worse, although they may not look like they do. Dogs fight as a means of control, communication, conflict resolution and enjoyment. Dogs that are in a backyard together that fight can seriously injure themselves resulting in serious vet bills or the loss of a dog.